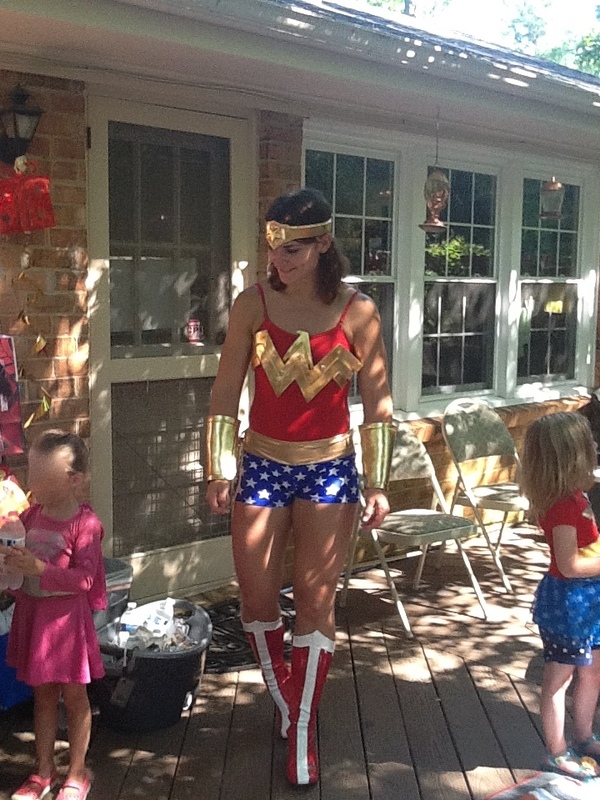 Make your special event an EXPERIENCE with a visit from a professionally costumed superhero! HEROES pose for pictures, sign autographs, lead games, and read stories. No cheap bodysuits or plastic props for these heroes. With attention to detail, we strive for theatrical quality costumes and accessories. If accurate, realistic costumes are important to you (and they are to most children) Triangle Heroes 4 Hire is your choice! 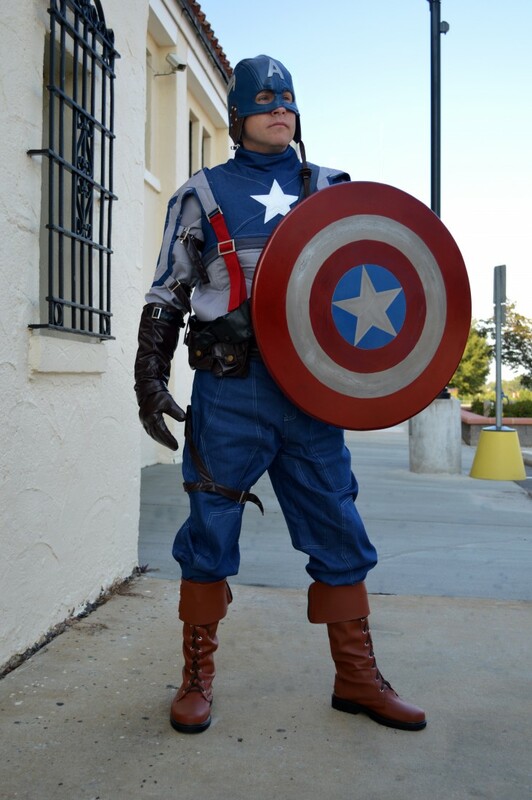 We specialize in superheroes and our heroes are always professional and never break character. Tell us about your event and we can customize a package for you. I wasn't able to attend my nephew's 5th birthday party since I live on the other side of the country. I knew he loved Batman, so I hired Sean from Triangle Heros 4 Hire through his website. He replied right away and even re-arranged his schedule to accommodate a visit from my nephew's favorite super hero Batman at his superhero themed birthday party. It was easy to pay directly through his website, everything was straightforward and it looks like Sean is used to working with kids. I gave him my sister's contact info to coordinate anything he needed and he arrived just as expected. Everything was great- the kids loved him of course and he stayed to play games. From the pictures, my nephew was on top of the world that Batman came to his birthday party. It was great and I really appreciated Sean's willingness to work this visit into his schedule. It meant a lot to me. I would highly recommend him! Depending on the needs of the costume performer, he/she may arrive at your party location already in costume or needing a place to change into costume. In the case that the performer needs to change please have a secure facility, such as a bathroom, where the performer can change. Please also ensure adequate parking for the performer. If the performer requires a change they will arrive earlier than their scheduled appearance in order to change, ensuring that the entire time they are 'on the clock' they are interacting with the birthday guests. During the hour of their appearance, your hero will conduct hero-specific games to get little guests up and moving, heroes may also read stories about themselves, pose for pictures with guests, and sign autographs. The hero's performance can be specifically tailored to the needs of your party. If you would like the hero to bring a hero-related party favor for your guests, this can be accommodated with an additional fee. Stay-at-home dad of three young children and lifelong superhero fan, Sean has worked as a public school teacher, horseback riding instructor, and Little Gym instructor. At the Little Gym one of his responsibilities was conducting birthday party celebrations as well as parent-child classes and developmental gymnastics classes. 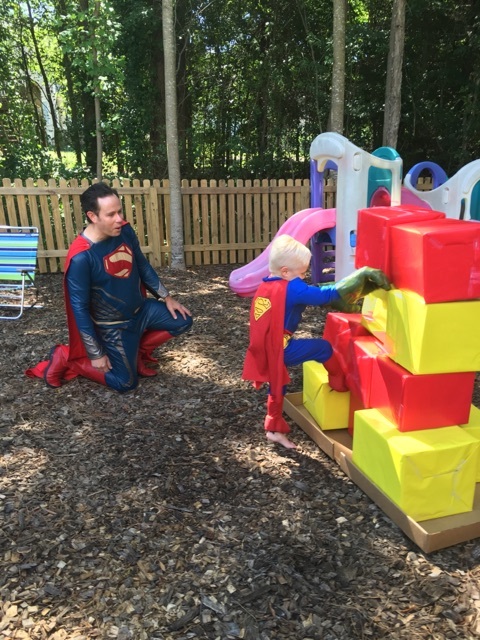 Generally, heroes are able to make appearances on Saturdays and Sundays. Triangle Heroes 4 Hire accepts personal checks with a valid driver's license. Payments can also be made online through Paypal and via Square reader. Triangle Heroes 4 Hire requires 24 hours notice for a cancellation. Rescheduling can be accommodated with 24 hour notice as well, but please be advised that performers may already be committed to another appearance. Triangle Heroes 4 Hire serves the Youngstown, Ohio and Mahoning Valley area. If the hero's schedule allows (assuming they are not needed at another party) additional time (beyond the one hour appearance) can be purchased at a rate of $50 for an additional hour. Requests for heroes not currently offered by TH4H can be accommodated on a case-by-case basis.